Concept: The stratification of the ziggurat-like skin reflects the texture of the former stadium’s seating. The curved, external surface is new. But the natural, textured, weathered grain of the original planks will be revealed within the interior of the bench. The form, the inverted planks and the longevity of the material suggests solidity, a rock-like permanence to pay homage to the absent stadium. The elliptical shape, symmetrical for efficiency, is a cultural memory, an echo, rising from the dust of the preceding civic icon. 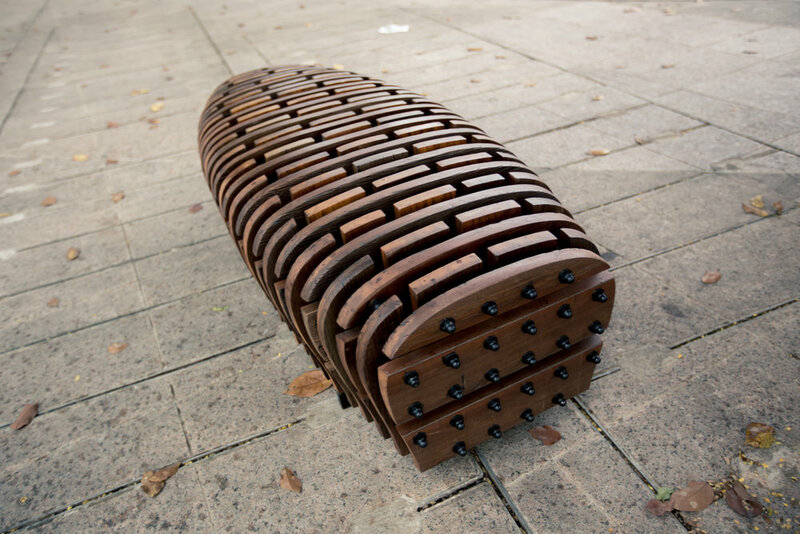 Bench / Stadium is one of the public installations from the urban project, Benches. 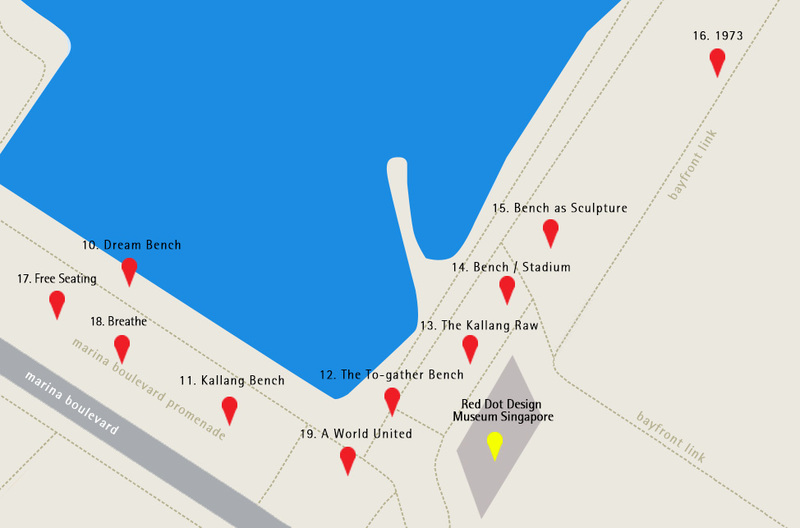 It can be found within 3 minutes walk along the Marina Bay Waterfront Promenade from The Promontory and within the vicinity of the Red Dot Design Museum.